Mikala Jones has once again woken up at the crack of dawn, jumped on his bike and made his way to the beach, all as the sun is still rising, to paddle out and grab more amazing shots like this one. This time testing the new Deus board shorts out. 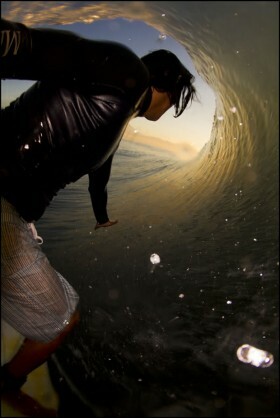 If you want to see some more epic shots of Mikala spending time in the barrel hit the view more button…you wont be disappointed.